I suppose this is a bit of a spoiler. 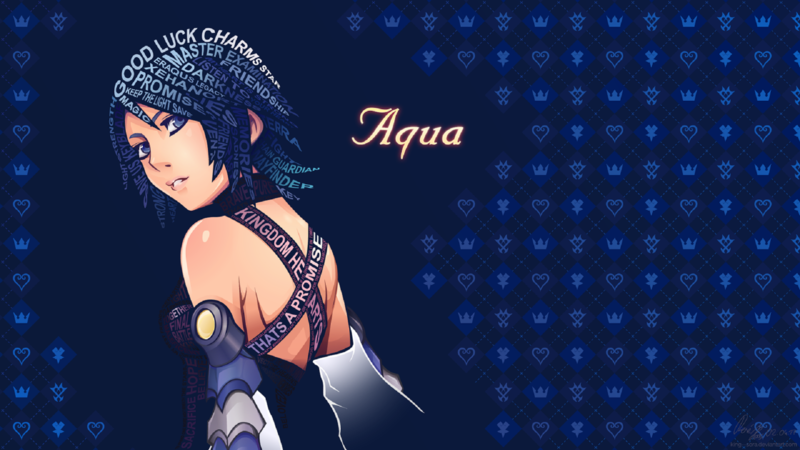 But Kingdom Hearts III has been out for two months, and the screenshot (and subsequent art) of some kind of possessed/evil/Nobody version of Aqua leaked forever ago. We’ll get through this together. The long-awaited Kingdom Hearts III does a lot of things right, many of which we detailed in our three-part review on the podcast (available on iTunes or our YouTube channel). There are awesome moments, streamlined combat mechanics, strong voice acting performances and so much more. But my personal favorite is the soundtrack, and this track is by far my favorite. Yoko Shimomura’s career is expansive enough now that we have to start considering her among the all-time greats. Her resume and personal style speaks for itself, and she goes back much farther than many would realize (she did Street Fighter II! Think about that!). We’re talking almost 30 years in the business, and in my opinion she keeps getting better as time goes on. Her work on KHIII includes a comprehensive blend of old and new, giving some familiar tracks from across the series an orchestrated facelift while mixing in fresh tracks with her familiar arpeggios and frenetic beats. It’s an awesome love letter to Kingdom Hearts fans. The KHIII soundtrack has been difficult to find; rippers are having a hard time compiling the tracks and there’s been no announcement of an official soundtrack thus far. But a few videos are sneaking out onto YouTube, and the quality is slowly improving as well. As an added bonus, the song below has the short but compelling intro. Enjoy.